IP67 junction box fitted with electronic board for junction and equalisation of 2, 3, or 4 load cells. Terminal boards with a screw for easing the connection of the load cells and the signal adjustment trimmer, for an accurate and reliable equalisation. JB4Q Equalisation box for connection with up to 4 load cells. 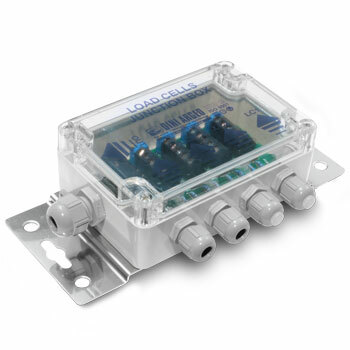 ABS box, IP67 protection degree, with 4 + 1 fairleads.